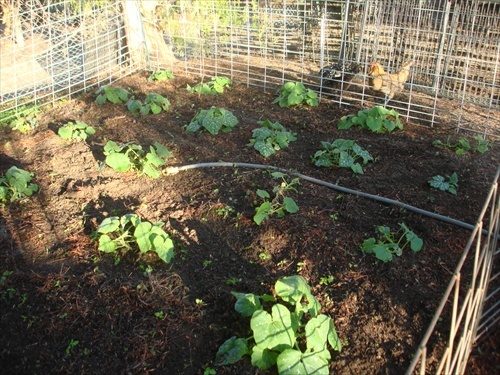 You are currently browsing the Suburban Homesteading – Frugal Living blog archives for June, 2013. The little flock of hens are in full production, laying a half dozen eggs a day. Even the new additions from early spring have begun to lay. 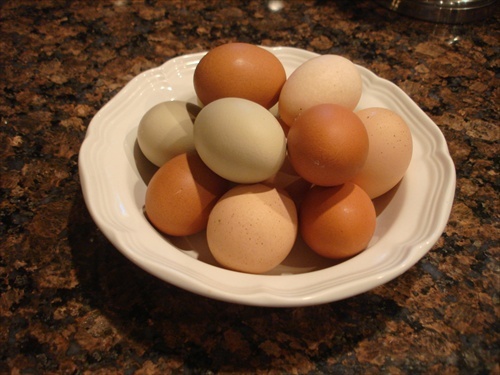 Ever since we stopped showing chickens egg production around our farm has been all about egg color. With Cochins, Wyndottes, Americanas and Sussex we get blue/green, light brown, dark brown and what my neighbor calls “pink” eggs. But, they’re all the same scrambled with ham and cheese, baked into a quiche with fresh picked spinach, mixed into our latest baking project or made into egg salad–Wonderful! Flavorful! Better than any store bought egg could ever dream of being. 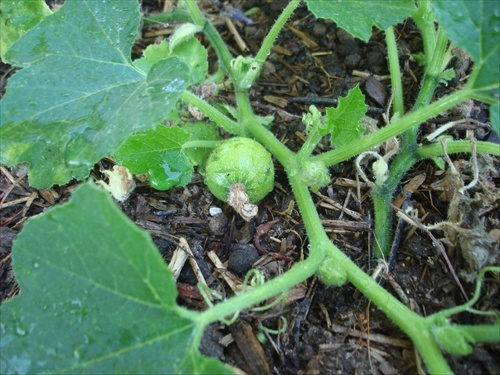 Pumpkin and squash seeds started in 4-inch pots back in the cooler months of early spring were planted out a few weeks ago and now our pumpkin patch is poised to exploded with runners and flowers and newly set fruit. There is Sugar Pie for pies and pumpkin butter, Connecticut Field for carving and decoration, Cinderella for looks, and Butternut, Sweet Dumpling and Delicata squash for baking with amber maple syrup, brown sugar and cinnamon, or stewing in a savory Moroccan Lamb Tagine. Life on a summer farm is lived in the moment, but we never loose sight of what’s to come. We’ll enjoy the freshness of the garden and barn today while dreaming of that crisp fall day when pumpkins will adorn the front walk and the aroma of fresh baked pumpkin bread will fill the house. Now that’s a fair promise for ya!